George Pataki the former three-term New York Governor declared on Thursday he would run for the 2016 GOP presidential nomination joining a crowded group of GOP candidates. Pataki is a centrist who was in charge of a state that is heavily Democratic. In a Thursday morning YouTube video, Pataki refers to the accomplishments he had as governor, particularly his leadership of the state of New York following the attacks of 9/11 in 2001. The video ends with his logo and an address for his website for the campaign. Pataki said the country needed to regain the spirit, the sense we all are just one people. He said in the video that spoke over images of the newly constructed One World Trade Center that when we do, our wills stop empowering the politicians and empower ourselves with an unlimited future. 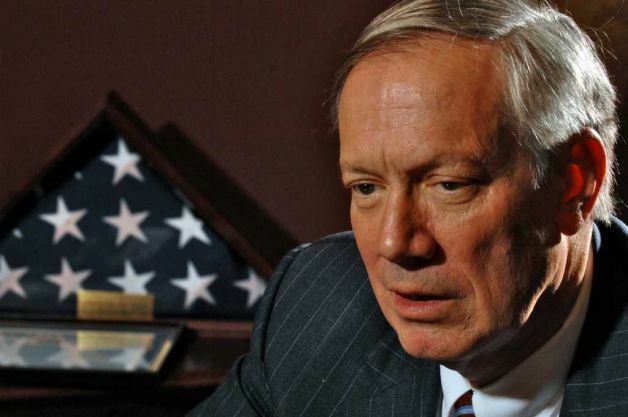 Pataki is the eighth GOP candidate to formally join the field for 2016. He is scheduled to give an address opening his campaign on Thursday morning. He will then greet voters, hold a meeting in a style of a town meeting and attend a sunset dinner cruise for the GOP while in New Hampshire for two days. Pataki is 69 and has been out of public office over 8 eight year. He trailed the majority of Republican candidates in survey of public opinion. He might not make it to the first televised GOP debate to be held in August, which determines its participants based upon the support they have in the national polls. His advisors have said the early polls do not concern them or even the first debate, arguing that Pataki’s experience at the executive level in a Democratic state, his advocacy against Common Core education and the opposition he has for what he called a federal overreach will gain additional attention later in the race. The former New York governor favors abortion rights as well as saying the private sector need to take steps to lessen the climate change effects, which he calls real and at least in some ways caused by us.